German car giant Volkswagen said Wednesday it would slash thousands of posts to cope with its transition to electric and autonomous driving the day after reporting rising profits, saying heavy costs for investments meant savings were needed elsewhere. Chief executive Herbert Diess had on Tuesday trumpeted rising sales and profits across the sprawling 12-brand group in 2018, the third year after its “dieselgate” emissions cheating scandal broke. But it was up to the VW brand’s chief operating officer Ralf Brandstaetter to announce the flagship division would drop between 5,000 and 7,000 positions by 2023 as it chases cost savings. “Given that more and more routine tasks are being automated, we’ll need fewer jobs in administration,” he said. Overall the plan would help “finance our investments and satisfy our objectives for the electric era,” chief financial officer Arno Antlitz said. With strict new EU limits on emissions of greenhouse gas carbon dioxide (CO2) set to bite from 2020, the German behemoth said it would boost the number of electric models it offers in the coming decade to 70 — 20 more than previously planned. By 2023, the VW brand alone says it will invest 19 billion euros ($21.5 billion) in “future topics” like battery-powered cars and automated driving over the same period, up from the 11 billion euros announced in November. Across the whole group, Volkswagen will invest 44 billion euros into “future mobility” over the coming five years. The austerity programme has had limited success, as the unit’s operating profit margin fell to 3.8 percent in 2018 — below its supposed floor of 4.0 percent. “In our industry you need a margin of between five and six percent, otherwise you can’t tackle the transition” to new technologies, CFO Antlitz said. Wednesday’s slashing of up to 7,000 jobs comes on top of an already-announced plan for 21,000 cuts worldwide, contributing around six billion euros to operating profits at the VW brand by 2023. On top of job cuts, VW plans to improve productivity at its factories and reduce the size and complexity of its range — compensating the increased costs linked to electrification. By 2022, the operating margin should hit six percent, Antlitz said. “It’s smart to begin saving when things are going well,” car industry analyst Frank Schwope of NordLB bank commented. VW said it had opened “constructive talks” with worker representatives to shape the departures over the coming years. Bernd Osterloh, head of the powerful works council, said in a statement he was happy that “colleagues who have worked long and hard” will be offered early retirement. But such early departures “must only be voluntary” and take place “if the task is abolished”, he added. “Otherwise, workers have the right to a different job” under guarantees stretching until 2025 issued by management to unions, he recalled. Executives usually strive to appear hand-in-hand when it comes to social issues with worker reps like Osterloh — sometimes described as more powerful even than the chief executive thanks to quirks of VW’s governance structure. Just last week, Osterloh complained of “serious slip-ups” in management’s handling of the transition to a new emissions testing regime known as WLTP, which slowed production across the auto sector following its September introduction. 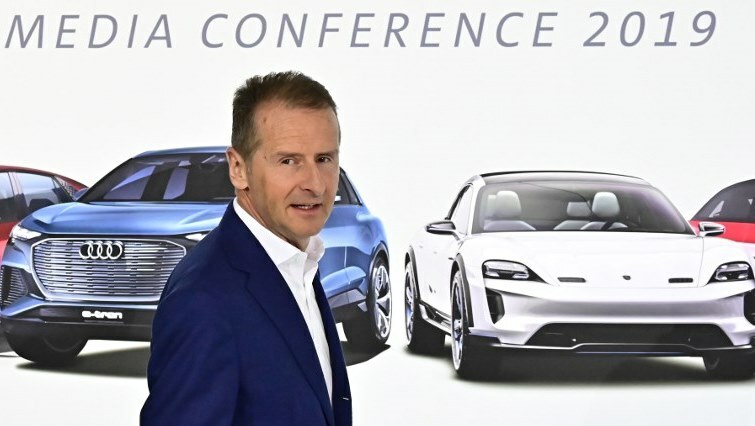 The post VW slashes thousands more jobs to fund electric transition appeared first on SABC News – Breaking news, special reports, world, business, sport coverage of all South African current events. Africa's news leader..